Do you want to know how much mercury can effect on your life? 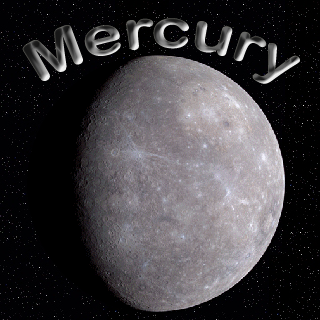 Do check out horoscope wise mercury's effect on your life in astro upay. Aries: Mercury doesn’t give wisdom but it gives playful mind. It shows at the early stage of life. In this case, you should conferred water to the Sun. Taurus: Mercury is very effective for Taurians. If Mercury is strong then person would be very intelligent. It is beneficial to offer Tulsi to lord Krishna. Gemini: Mercury is very important planet for Gemini’s. It makes person intelligent but it also creates doubt. In this case, you should eat walnut. Cancer: Mercury gives wisdom but if Moon is weak then Mercury makes person emotional. In this case, it is beneficial to pour water to lord Shiva. Leo: Mercury doesn’t give brain and idiotism. Mercury only gives money. If Mercury is strong then person spend too much money. In this case, you should conferred water, mixing turmeric, to the sun. Virgo: Mercury is very important for Virgonians. Mercury gives sharp mind if it is little strong. Sometimes, you should take decisions by heart. Every time do not take decisions with mind. Libra: Mercury gives mind and heart. It balances mind and heart. They face problem when they fall in love with someone. In this case, you should worship lord Krishna and chant his mantra. Scorpio: Mercury weakens heart and mind. Usually, they remain mentally and emotionally weak. In this case, it is beneficial to offer water to the Moon and intake white products. Sagittarius: Sometime, Mercury makes them very intelligent while in sometime it makes stupid. They don’t work from heart however, they do mistakes. In this case, mix turmeric in bathing water. You can also wear gold and brass. Capricorn: Sometime, Mercury makes person very cunning. A person cannot think about good-bad things. It is beneficial to plant and take care of them. Aquarius: Mercury gives good intelligence. But they get strong emotions. It is beneficial to chant Gayatri mantra. Pisces: Mercury doesn’t have good impact. A person takes decision by heart. They do mistakes if they decision by mind. In this case, you should offer Durva to lord Ganesha. Remedy: If your office is in your home then you should keep separate entrance gate for home and office.